Who hasn’t dreamed of standing up one day, telling off their boss, and storming out in a blaze of glory? Few of us ever do that, of course, because we need a paycheck to pay our bills. But here’s the funny thing about bills: They’re not as fixed as we often assume. You can live a comfortable middle-class lifestyle on $2,000 per month in countries spanning Europe to Asia to Central and South America, thanks to geoarbitrage. Geoarbitrage is a fancy word for taking advantage of differences in currency value and cost of living in other countries. 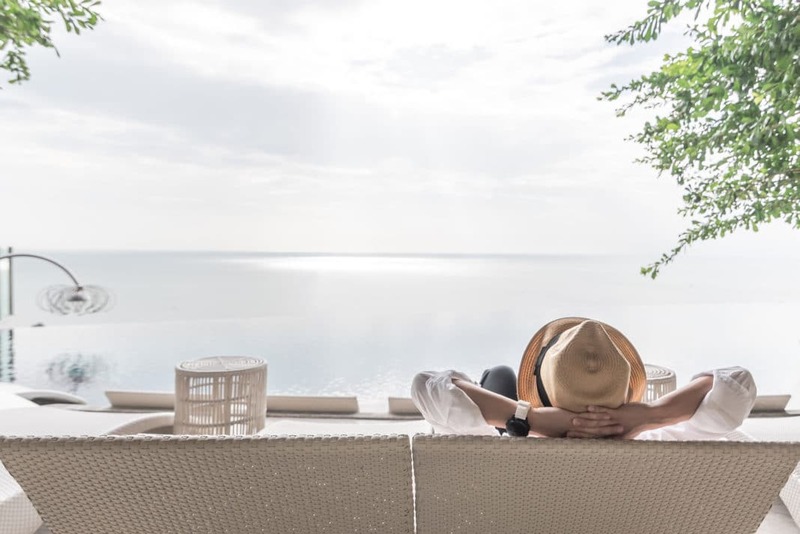 Because you’ve earned your living in U.S. dollars, working in a high-income country, you can take the fruits of your investments overseas to stretch them further — far enough to retire right now, if you’ve been investing for a while. Retiring overseas is no longer a fringe movement. It’s become mainstream, with 21.3% of Americans planning on it, according to a survey by Provision Living. Anyone who’s ever switched to a single-income household knows how possible it is to cut spending. If you’re open to adventure and an international lifestyle, you can exponentially accelerate your savings by moving overseas, without sacrificing quality of life. A great book to check out is A Better Life for Half the Price. This book will walk you through how it’s possible to move abroad and potentially cut your expenses by 50%. Depending on how well you’ve budgeted and invested your money, you may have enough passive income from your investments already to generate $2,000 per month. It could come from rental properties you’ve purchased through Fundrise, bonds, dividends paid by your stocks, a business, or any number of other passive income streams you’ve developed. You can also sell off some assets to live on, even if you’re not at retirement age. Depending on your age and how many more decades you expect to live, you can safely sell a certain percentage of your investment portfolio every year. How much varies by how long you want your portfolio to last; this is called a safe withdrawal rate. Even if you want your nest egg to last forever, you can still sell off around 3.5% of your original nest egg every year without worrying about ever running out of money. If your investments can cover $2,000 per month, congratulations! You may just be able to quit today and retire to a tropical paradise. If not, don’t sweat it. You can still transition to working remotely, whether in your current job, current industry, or in something completely new. You could also work locally in a new country. Here are 15 ways to travel the world for free through jobs or volunteering that provide free housing, free travel expenses, or both. Living an international lifestyle might be a little scary at first. But it’s also exciting and incredibly safe. Many Americans harbor misconceptions about living abroad: that it’s only safe for men; that it’s only good for young, single people; that it’s impractical for families. These are all false. A solid 58% of U.S. expats are women, according to InterNations, and the average age of U.S. expats is 49.1 years old. Over two-thirds (68%) of U.S. expats are either married or in a long-term relationship, and many have children. I’m a married expat myself, and most of the American, Canadian, and British expats I know have children who live abroad with them. When I told my family and friends that I was moving to Abu Dhabi in 2015, the first question that nearly every one of them asked was: “Is it safe? It’s in the Middle East!” As a matter of fact, Abu Dhabi is currently the safest city in the world, according to Numbeo’s global crime index. I will never live in a safer city. My home city of Baltimore actually suffers crime rates astronomically higher than Abu Dhabi. Frighteningly, Baltimore ranks lower in safety than Cape Town or Mexico City. We fear what we don’t know. But the safest major U.S. city in the crime index rankings is Salt Lake City, ranked at a modest #41. The only other U.S. cities that even cracked the top 100 safest world cities were Irvine, California; Madison, Wisconsin; Boise, Idaho; Boston, Massachusetts; and Austin, Texas. And most of these are smaller U.S. cities, not large metropolises. If you’re open to the idea, you can learn more about the process of moving abroad here. These are not the cheapest countries in the world, because the cheapest countries tend not to be the safest or most comfortable for American expats. Instead, the countries below represent a balance of safety, affordability, high-quality health care, ease of visa and residency requirements, and climate. Cost-of-living data for sample budgets is based on stats from both International Living and Numbeo. For each country, there is an overview of what makes it so attractive to American expats and a sample budget for couples. This budget breaks down both basic expenses — including 20% for discretionary and incidentals — and additional luxuries such as maid service and weekly three-course meals at mid-range restaurants. In Malaysia, for example, expats can live a luxurious lifestyle with weekly maid service for $1,250 a month. Sample budgets include the average rents for both a one-bedroom apartment in desirable city-center neighborhoods and a three-bedroom house outside of city-center areas. Of course, these numbers vary wildly depending on the city, neighborhood, and property itself. You can find lower-cost homes as well as more upscale homes; these are simply average rents based on Numbeo’s figures. A monthly public transportation pass is listed as a necessary expense and private car ownership as a luxury expense. As is the case in Manhattan or Washington, D.C., expats living abroad in desirable city-center neighborhoods generally don’t need cars. Keep in mind that international health insurance rates vary wildly, just like in the United States. Even the health care systems within these countries are vastly different, with many offering excellent public health care. Finally, all budget totals are rounded up to err on the side of higher expenses because — let’s be honest — life always costs more in the real world than it does on paper. Without further ado, here’s the list. Let the adventure begin! 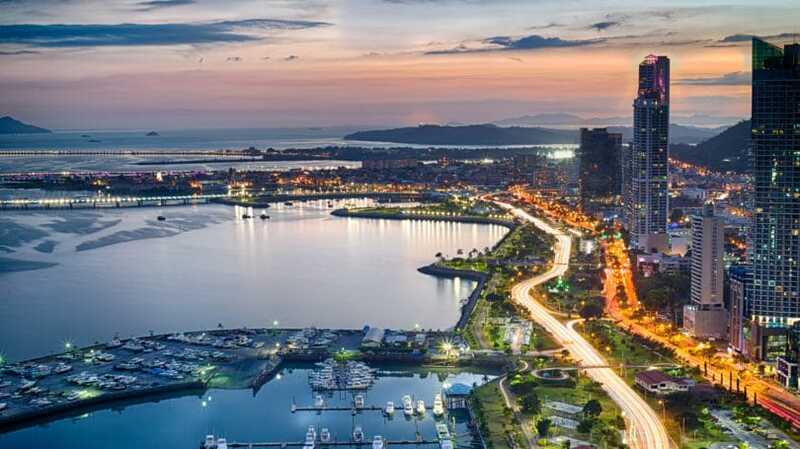 Beautiful Caribbean beaches, charming mountain towns, a vibrant cultural capital city — what’s not to like about Panama? Panama is not the cheapest country on this list, not by a long shot. But it still boasts plenty of advantages for U.S. expats. The visa and residency programs available to Americans and Canadians are extremely friendly and welcoming. For example, Americans can qualify for a Pensionado visa if they earn at least $1,000 per month in pension income. Through the “Friendly Nations” visa, Americans can qualify for residency by opening a bank account with $5,000 and either getting a job in Panama, opening a business there, or buying real estate worth at least $10,000. Climate-wise, Panama is sunny and tropical, yet outside the hurricane belt. And it’s a quick, easy flight from Panama City to the United States. One huge tax perk of living in Panama is that it doesn’t impose taxes on money earned outside its borders. So whether you’re a digital nomad or retiree, you’re off the hook for income taxes. And as an expat, your first $105,900 (in 2019) is tax-free in the United States as well through the foreign earned income exclusion. Panama uses the U.S. dollar as its currency, which is convenient but also precludes exchange rate advantages. Even so, the cost of living is far lower in Panama than in the United States. Escape to Panama is a great book for anyone thinking about making the move to Panama. It will give you a first hand account from a couple that made the move themselves. As in any budget, each of the expenses below could be reduced or increased, depending on what you’re looking to spend. The cost of living, excluding rents, is 25.4% cheaper in Panama than in the United States, and rents are 35.8% cheaper, per Numbeo’s cost of living analysis. Not far from Panama lies another Central American paradise catering to U.S. expats. 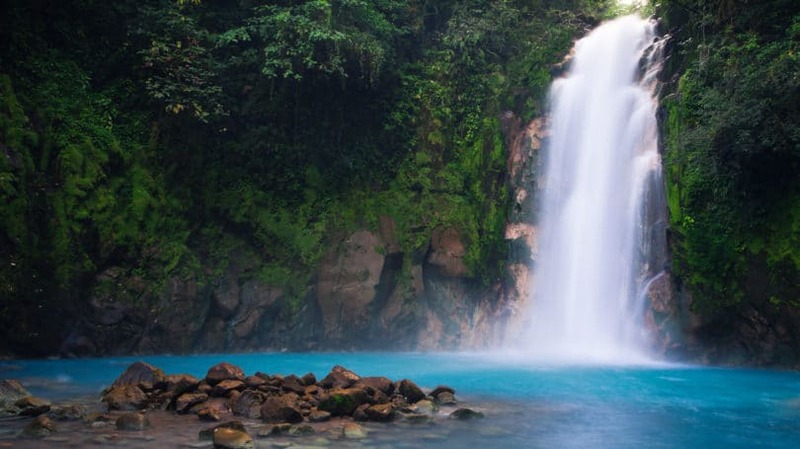 Often known as “the Switzerland of Central America,” Costa Rica is known for its neutrality, safety, strong banking system, and excellent health care. Like Panama, Costa Rica offers a range of climates and geography, from warm beaches to cooler mountain towns. It’s an outdoor lover’s paradise, with excellent surfing, fishing, golfing, hiking, scuba diving, outdoor yoga, and more. Look no further than Costa Rica’s national motto of “Pura Vida,” or pure life. For even more inspiration, check out these 12 fun activities to do in Costa Rica. There’s a public health care system that charges 7% to 11% of your reported household income, which entitles you to high-quality health care services. Many expats combine this public health care with the occasional private payment when they want expedited same-day service for a treatment or test. And like Panama, Costa Rica’s health care system includes a high percentage of U.S.-educated doctors and partnerships with U.S. hospitals. The book Happier Than a Billionaire talks about how one couple quit their jobs, moved to Costa Rica and now live the zero hour workweek. Sounds like a good life to me. Prices vary based on the city or town, of course, as well as on whether you’re stocking up on inexpensive local vegetables or Russian caviar. Nationwide, the cost of living, excluding rents, is 27.2% lower than in the United States, and rents are 60.5% lower. Mexico sometimes gets a bad rap in the United States. But with its stunning beaches, rich culture, colonial cities, low cost of living, easy access to the U.S., and availability of quality health care, Mexico has become a mecca for expats. Some cities and regions are particularly expat-friendly and surging with Americans, Canadians, and Europeans. 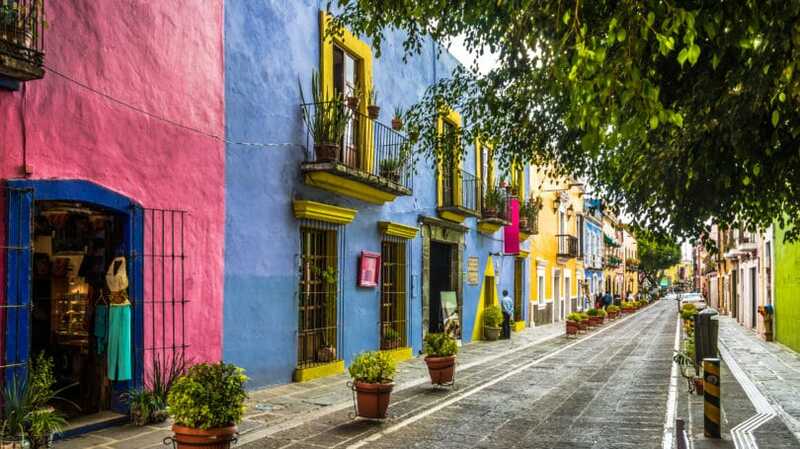 Check out San Miguel de Allende and Guanajuato — beautiful, colonial cities with large American expat communities. For a seaside paradise with plenty of English-speaking neighbors, check out the Riviera Maya. There are two national health care plans to choose from, and the Seguro Popular plan remains popular with expats, who may only spend a few hundred dollars a year for coverage. Nationwide, the cost of living in Mexico is 52.1% lower than in the United States, excluding rents, and rents are 73.6% lower. Like the other Latin American countries listed above, Ecuador offers a range of climates, from warm, sunny beachside towns to breezy mountain cities. It also offers tens of thousands of Americans. 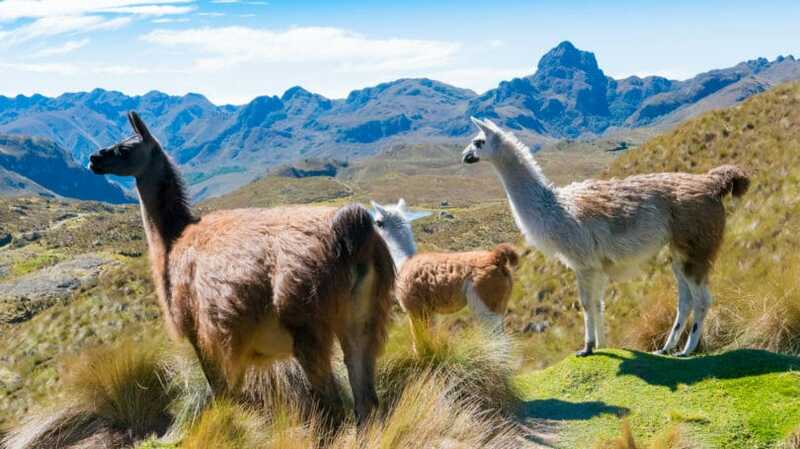 For high concentrations of expats, check out Vilcabamba and mountainside Cuenca. These cities blend old-world colonial charm with modern conveniences and utterly perfect weather. Cuenca sits near the equator, but at an elevation of 8,400 feet, so it maintains daily highs in the low to mid-70s all year round. Among its dramatic landscapes, Ecuador’s natural beauty includes the Tiputini River, one of the top adventure destinations in the world. Unlike Mexico, Ecuador sees U.S. expats spread more evenly across the country, rather than concentrated in a handful of cities. The Ecuadorian people are famously friendly, making it a welcoming destination for American expats. Terry Dean Roberts discusses his decision to move to Cuenca, Ecuador in his latest book, Relocating to Ecuador: Eyes Wide Open. The cost of living in Ecuador overall is 40.6% lower than in the United States, excluding rents, with rents 70.2% lower on average. Rounding out the top five is the first Asian country on the list, Malaysia. With roughly 880 islands, Malaysia is renowned for its pristine white sandy beaches. Diving, sailing, and other water sports flourish, and unblemished rainforests also make for fun outdoor adventures. Health care is robust here; Malaysia has evolved into a hotspot for medical tourism. Resident expats can expect high-quality care at affordable rates. Most Americans are surprised to discover that English is the unofficial language of Malaysia, as the country remained a British colony from the late 1700s through 1957. Penang has a particularly strong British influence and expat population, as it was among the first ports leased to the British for trading purposes. While its location is much further from the United States than other places on this list, it’s well situated to reach all of Asia and Australia. Kuala Lumpur offers a modern city experience, as does neighboring Singapore, which is great for weekend jaunts. Malaysia as a nation offers a cost of living 43.6% cheaper than in the United States, excluding rents; rents are 72.1% lower. Sadly, most of what Americans know about Colombia comes from TV shows like Netflix’s “Narcos.” But Colombia’s violent decades in the 1980s and 1990s have given way to modernization and plummeting crime rates. 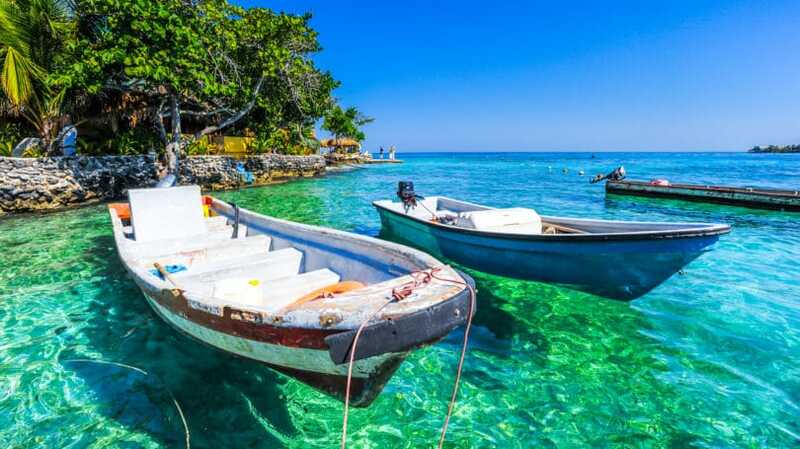 Colombia is one of the most biodiverse countries in the world, with crystal-clear water along beach-lined coasts, lush rainforests, and sweeping mountains. For a beachside city teeming with tourists and expats, try Cartagena. For first-rate luxurious mountain living with plenty of expats, head to Medellin. Better yet, explore the less-hyped “Coffee Triangle” of Pereira, Armenia, and Manizales, which provides a similarly gorgeous mountain city experience for even less money. Colombia’s health care system has also modernized, providing excellent care at a low cost to residents. The cost of living in Colombia is 56.3% lower than in the United States, excluding rents; rents are 75.8% lower. South America and Southeast Asia aren’t the only regions offering a low cost of living and warm weather. Portugal offers both, along with an old-world culture and relaxed lifestyle. The people are mellow and welcoming, and it’s extremely safe, ranking fourth-best in the world on the 2018 Global Peace Index. The cost of living, and the cost of health care, are a bit higher here than in many of the best Latin American countries for expats. 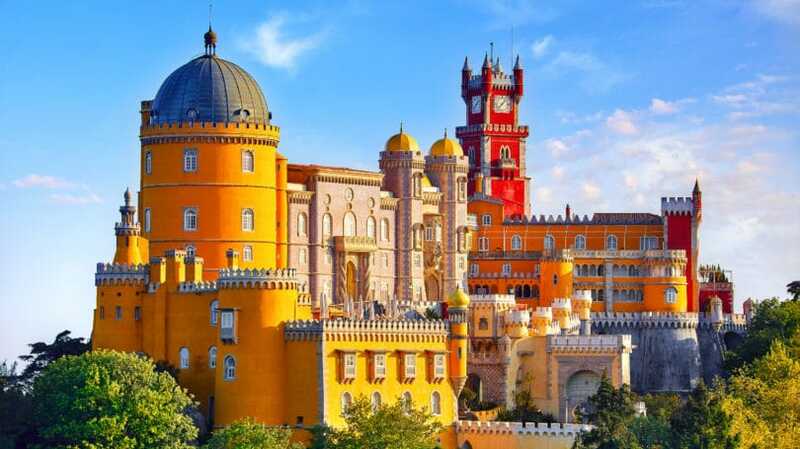 However, if you want not only a Western lifestyle but also a Western European country, Portugal is an enticing option. For urban areas with a rich culture and plenty of English speakers, check out Lisbon, Porto, and the expat-heavy Algarve. Expect housing — and everything else — to cost more in these cities, though. If you’d prefer a beachside town, try Ericeira, Cascais, or the picturesque town of Mafra, with its white-washed homes and cobblestone streets. Mafra is only a 15-minute drive from the surfing at Ericeira and less than a half-hour from the bustle of Lisbon. Try an exploratory trip to see how you like it, starting with these fun sights to see in Lisbon. Comparable to Panama, the cost of living in Portugal is 27.9% cheaper than in the United States, excluding rents, and rents are 46.0% lower. Unlike Malaysia, Thailand was never colonized by a European power, so it retains an authentic, untouched feel. The Thai people are as warm and welcoming as their beautiful beaches, and there are plenty of expats here to make you feel right at home. The climate is warm and tropical, usually humid, with no cold winters. 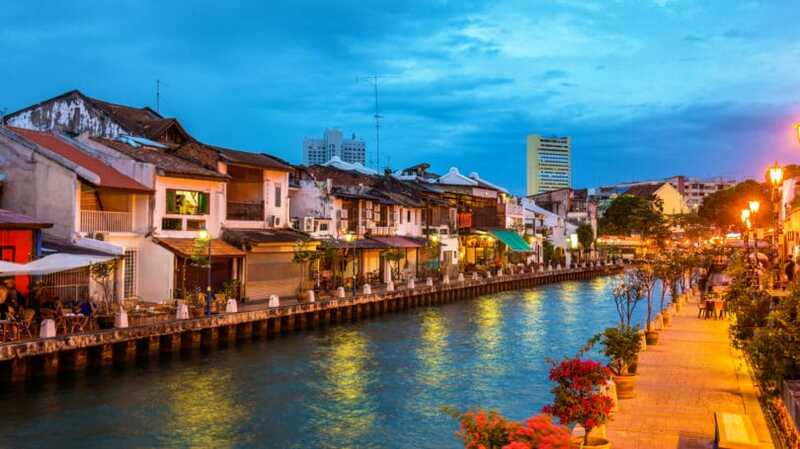 Costs are low, health care is modern, and inbound expats have their choice of everything from exciting cities like Bangkok to more relaxed, historic regions like Chiang Mai with its ancient temples. For a beach destination, try Hua Hin, where you can still rent homes with a view of the ocean for under $1,500 a month. Flights within Thailand are under two hours and can often be found round-trip for under $100. Start by flying into Bangkok for cheaper flights, and while there, try some of these 32 best things to do in Bangkok. Thailand also serves as an excellent launching pad for the rest of Asia and Australia — to the extent that anything is “near” Australia, that is. Thailand’s cost of living is 30.9% cheaper than in the United States, excluding rents, and rents are 54.1% cheaper. Read more about the cost of living in Thailand here. While it’s among the top beach destinations in Europe, Spain offers far more than just beautiful beaches. The climate is pleasant and varied, with something for everyone; it’s hot and dry in the south, mild in the north, and you’ll find chillier weather in the mountains. Spain even offers skiing for anyone who wants easy access to the slopes. The rail system is extensive and efficient, providing easy and affordable travel between large and medium-sized cities. In such cities, residents can generally avoid car ownership. Spain is, of course, a fully developed Western democracy, with all the first-world amenities an American expat could want. Its public health care system is affordable and high-quality. While more expensive than most options on this list, Spain proves an excellent option for Americans looking for a European lifestyle. For some affordable-but-picturesque and culture-rich cities, try Jerez in the south, Vitoria-Gasteiz in Basque country, and Pamplona in the north. The cost of living in Spain, excluding rents, is 21.9% cheaper than in the United States; rents are 46.8% lower. Italy is the No. 1 country where Americans say they’d like to retire, according to Provision Living’s survey — and with good reason. 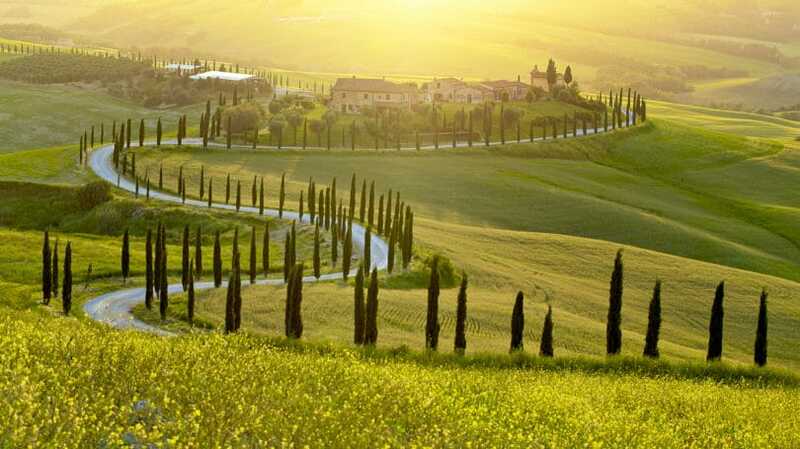 The home of “la dolce vita” (the sweet life) offers a laid-back, mellow lifestyle, a rich culture of art and history, world-renowned cuisine and wine, and surprising affordability — once you get away from the major cities and touristy areas. The visa process for Americans is among the easiest in Europe, as Italy struggles to combat a declining population. A good friend of mine obtained Italian citizenship simply by providing proof that a great-grandparent of his was born in Italy. In fact, many towns are so desperate that they offer to sell houses for 1 euro to foreigners willing to move in and renovate them. Others are willing to pay foreigners over $10,000 to move there or to pay couples over $1,000 per child to make babies, as CNN reports. Health care isn’t as strong in Italy as in some of the Latin American countries that maintain close ties with U.S. hospitals and health care companies. But high-quality health care is available, through both the public health care system and private insurance. Besides, Italians must be doing something right, because their life expectancy is several years longer than Americans’, at 80 years for men and 85 years for women, according to the World Health Organization. Italy’s overall cost of living is similar to the United States’, at only 0.92% cheaper. But rents are 45.0% cheaper than in the U.S., and like in the U.S., the overall cost of living is dramatically cheaper outside major cities and tourist hubs. 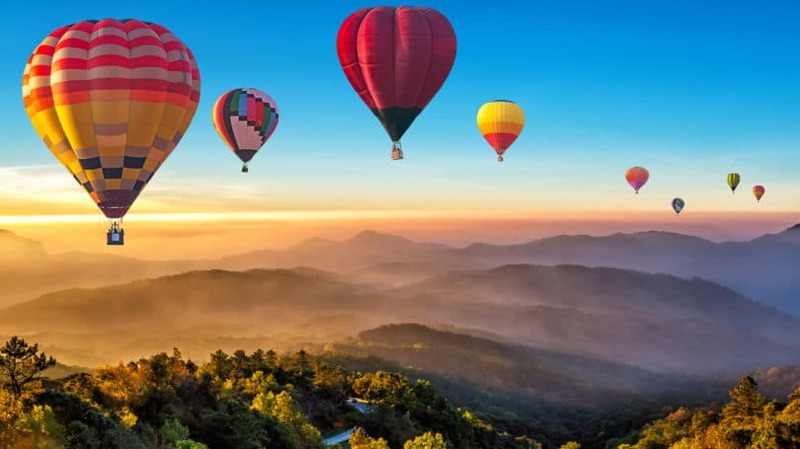 From Central and South America to Asia to Europe, Americans have plenty of options for high-quality lifestyles at a low cost. But most Americans feel overwhelmed at the very idea of moving overseas and never seriously consider an international lifestyle. As an expat myself, and as someone who has lived briefly in one of the countries on this list, I can assure you that the expat life is easier than most Americans assume. I spend two months each year in the United States to get my fix of friends, family, and fatty foods. But I also get to visit an average of 10 countries per year and live entirely on my wife’s salary, with my salary going straight into retirement investments. Financially, I could never have done either while living in the United States. Start with a simple vacation to one of these countries to scout it as a potential home. 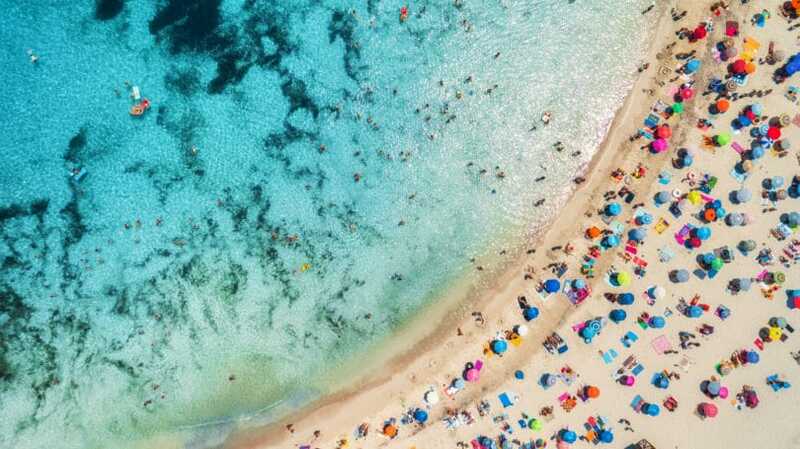 Be sure to connect with other American expats while you’re there, either by looking up local American haunts or through an expat social network like InterNations. These fellow Americans can tell you what it’s like to actually live there and introduce you to life behind the tourist curtain. You’ll be pleasantly surprised at just how easy it is to live in these countries as an American, and how welcoming both the expat and local communities are. Have you ever considered living internationally? Why or why not?